Hiya guys! I'm back to my normal schedule of sleep - work - blog this week. Not complaining though, the days off to rest were nice but quickly had me stir-crazy. Of course in a few days I'll be back to begging to stay home from work, haha. 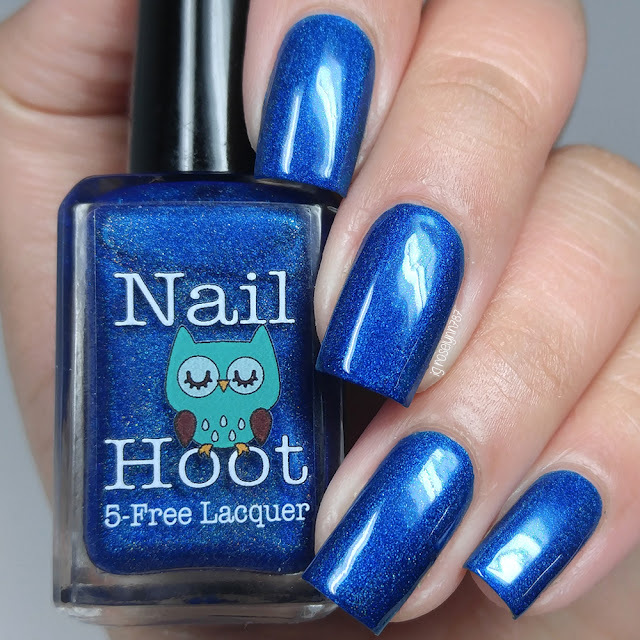 So today I'm sharing swatches for the first Birthstones Trio by Nail Hoot, which features the months July, August, and September. These were released during the summer and I do believe the next trio (October through December) are available in the shop as well. Let's go ahead and get started! 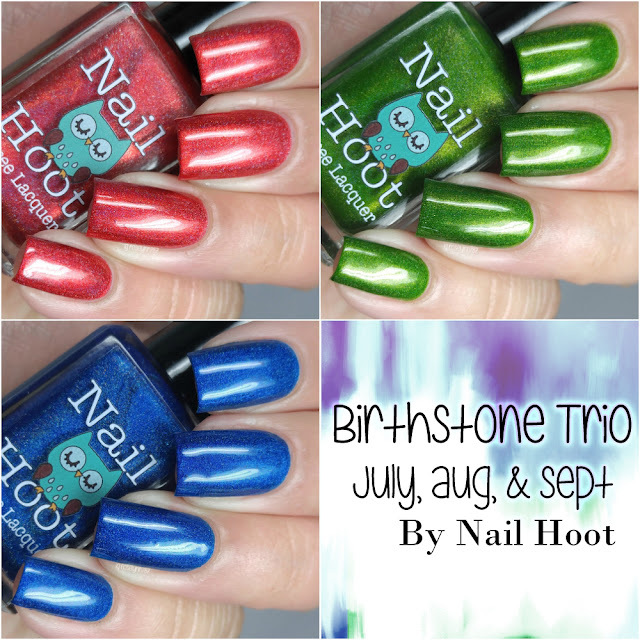 The Birthstones July, August, September Trio by Nail Hoot is now available for purchase. The full-size 15mL trio can be purchased for $24.50 while each individual bottle retails for $9.00. Ruby July can be described as a gorgeous red holographic polish that is inspired by July's birthstone - Ruby. Woohoo, my birth month! I was more than a little hyped to see July as one of the initial three months for this collection. But one thing I do wish is that it would have been a little darker or more pigmented. That, of course, is completely personal preference. The formula had a sheer and thin application, but it did build up nicely. Smooth consistency as well. I experienced no staining from this shade during removal, which is always really nice when it comes to a red shade. Shown in three coats and sealed with a glossy topcoat. Peridot August can be described as a rich green-yellow holographic polish that is inspired by the August birthstone - Peridot. If you're not drooling, then you absolutely should be! It does draw a little warm from my skin-tone, I actually don't mind it one bit. 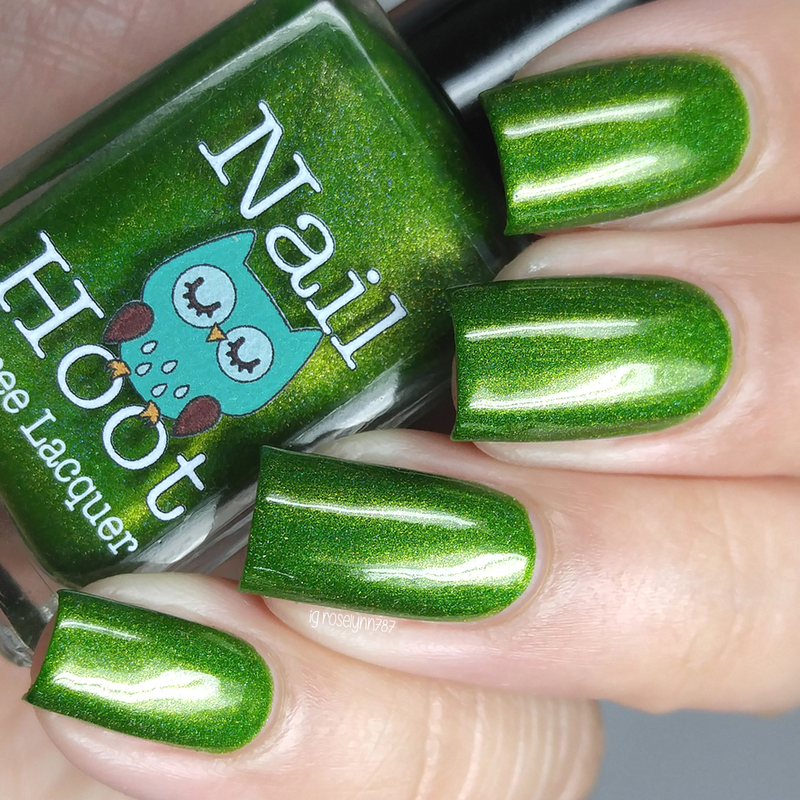 I don't think I have ever loved a green shade this much. Note ladies, it's so much more vibrant and gorgeous in direct sunlight. The formula has an amazingly opaque application, practically a one coater. Though I did prefer adding a very thin second for more holo sparkle. Definitely a must-have, especially if you're a fan of green. Shown in two coats and sealed with a glossy topcoat. 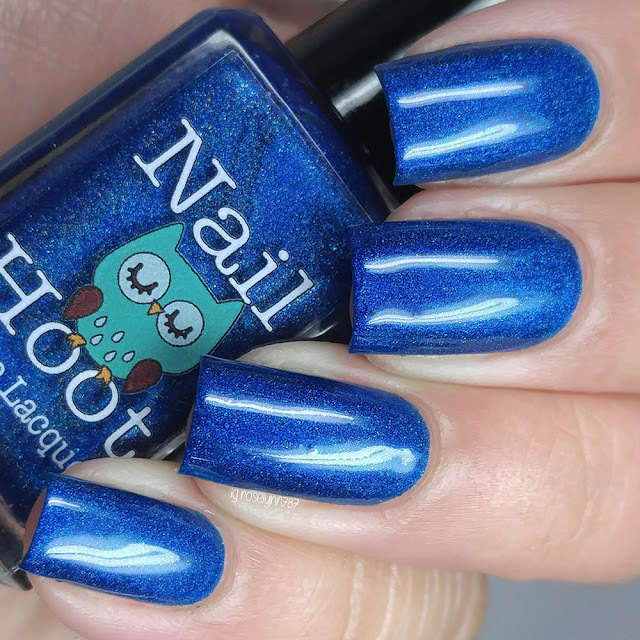 Sapphire September can be described as a stunning blue holographic polish that is inspired by the September birthstone - Sapphire. You guys know how I feel about a rich blue *insert hearts as eyes*. As much as I feel like a traitor to Ruby, this might actually be my favorite! The formula was very opaque with this one, but not quite enough to be a one coater. I felt the consistency was just a tiny on the thick side, but since it didn't need much layering it wasn't an issue with the application. On removal I had very minimal staining to my nail beds, none to the cuticle. Although as I said it was very minimal it should be noted that I did not have it too long (couple of hours). Shown in two coats and sealed with a glossy topcoat. Overall I completely love all three of these shades and the concept behind these trios. I'm always a sucker for anything that represents birth months. My photos don't do the holo finishes any justice, especially when it comes to Peridot August. I really can't wait to see what the remaining months look like! Funny enough with these three, I love how good they look together. With the holidays around the corner I really feel like I'll be getting a lot of use out of them as well. So what do you guys think of these? Will you be picking them up or maybe just waiting until your birth month? To recap, Birthstones July, August, September Trio by Nail Hoot is now available for purchase. The full-size 15mL trio can be purchased for $24.50 while each individual bottle retails for $9.00. I always really loved the colour of peridot even though it isn't the most popular gemstones, especially for non-August babies. these are all so vivid. Wow loved your swatches !! So Stunning, I love them all! I would totally get Sapphire just because my birthday is in September lol. Mine would be sapphire but peridot has meeeee!